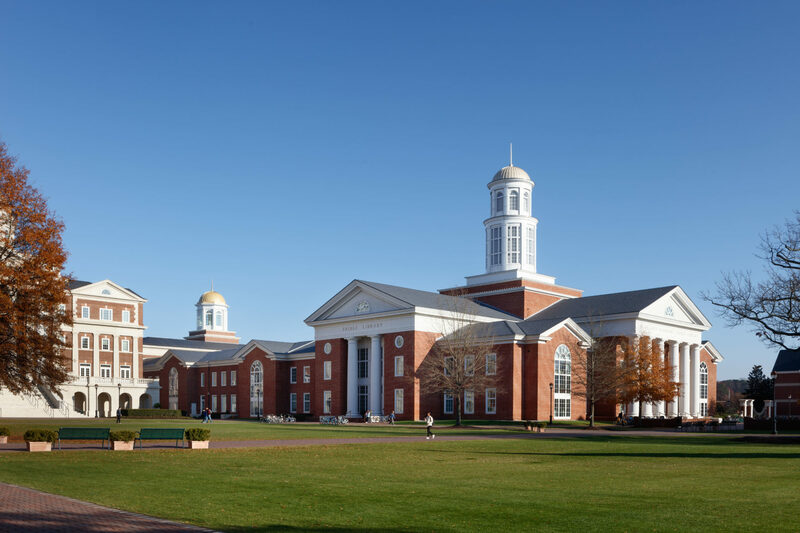 CHRISTOPHER NEWPORT UNIVERSITY (CNU) selected Glavé & Holmes for the expansion and renovations to the Trible Library. 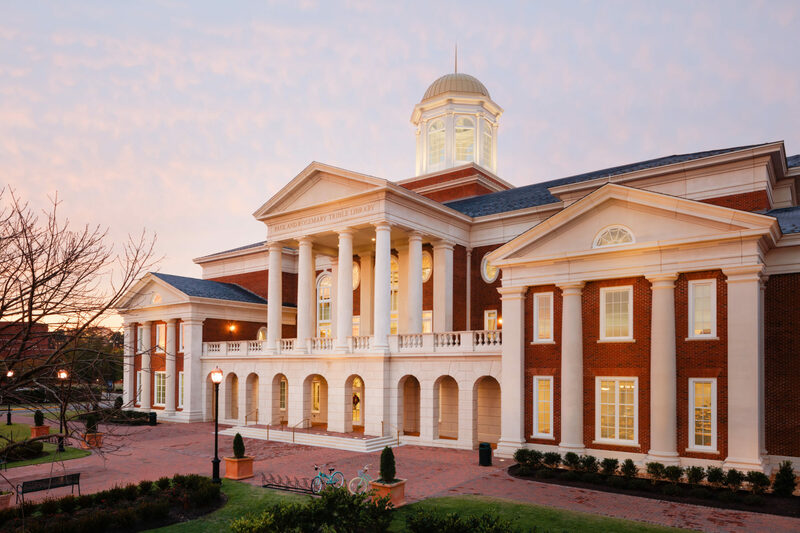 The existing library was a compilation of four different decades of construction; the original 1966 one-story library, an addition in 1978, another addition in 1993, and a major addition and renovation in 2008. 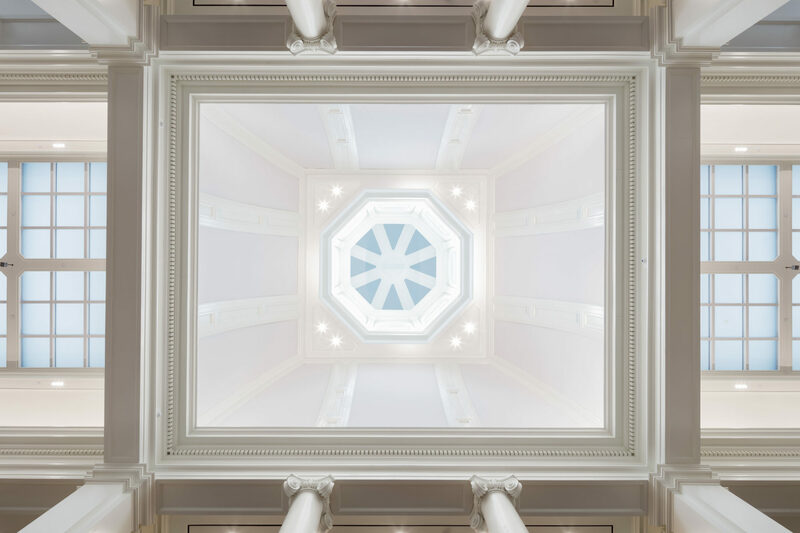 This project needed to remove portions of the building, renovate major sections of the earliest building, and add a large addition. 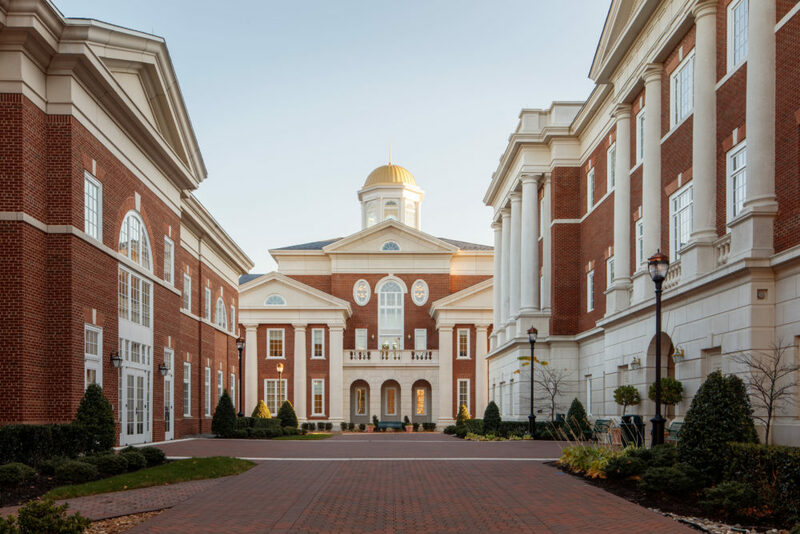 In addition, the existing library contained only 200 seats and the University wanted to increase seating to over 1,000. 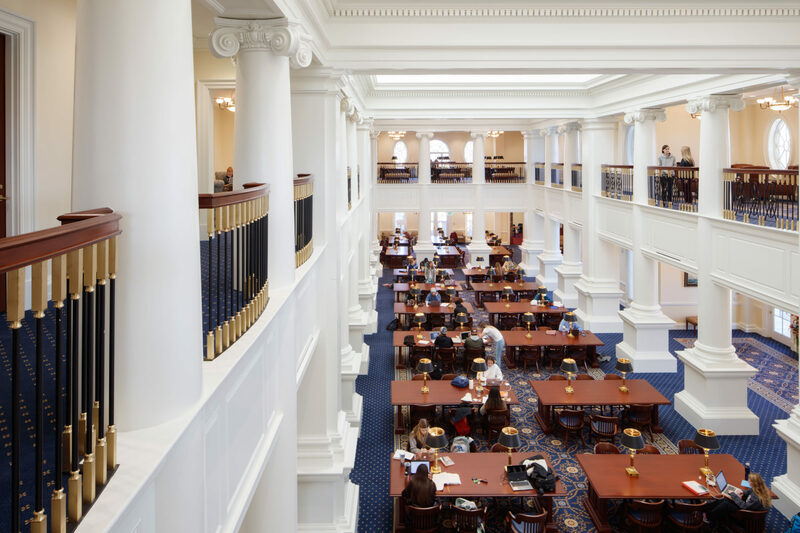 Modern university libraries have evolved into much more than repositories for books. 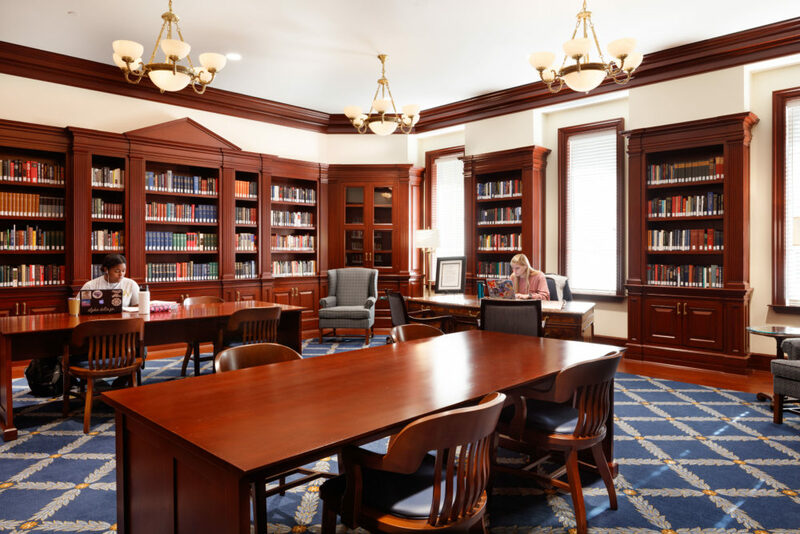 G&HA helped transition the facility into a 24/7 student-focused study center, complete with an updated coffee shop, expanded media center, extensive technologies, a lecture hall, reading/study rooms and state-of-the-art archival storage and archives library. 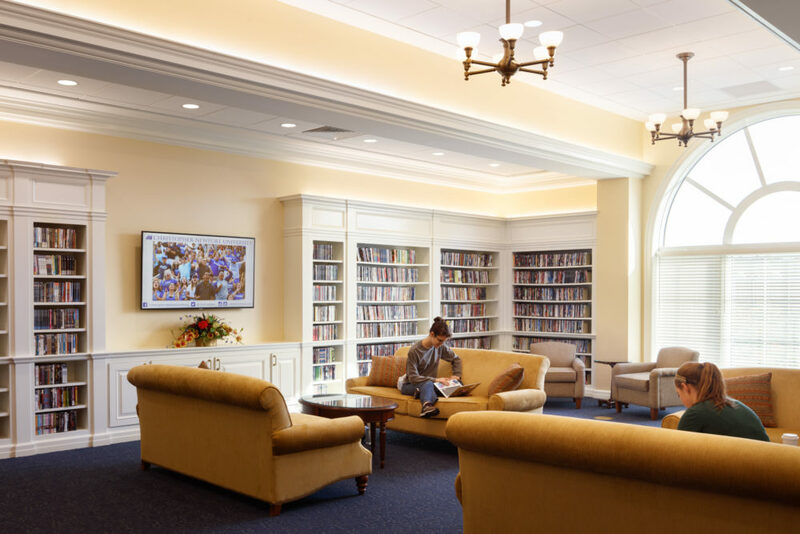 The most dramatic addition was a new two-story Reading Room. Locating it on the second floor allowed this central feature to be flooded with natural light from the library’s cupola and skylights concealed within roof wells. 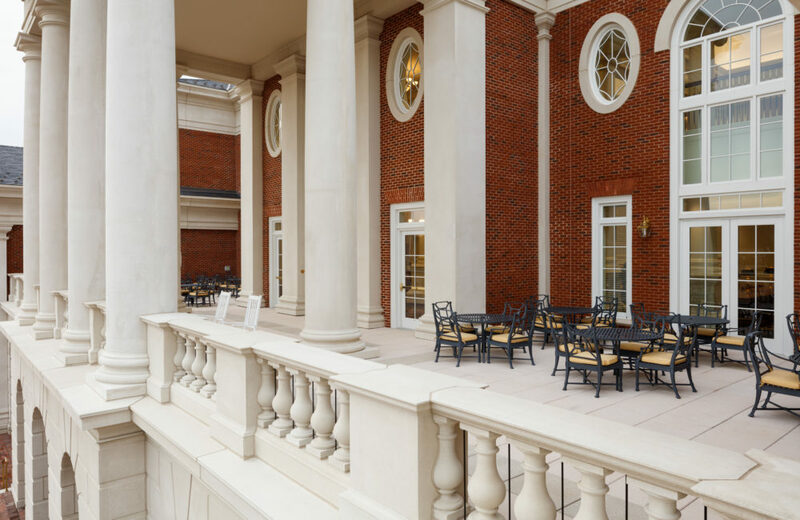 This iconic, three-bay room surrounded by balconies flows out to three outdoor reading terraces. 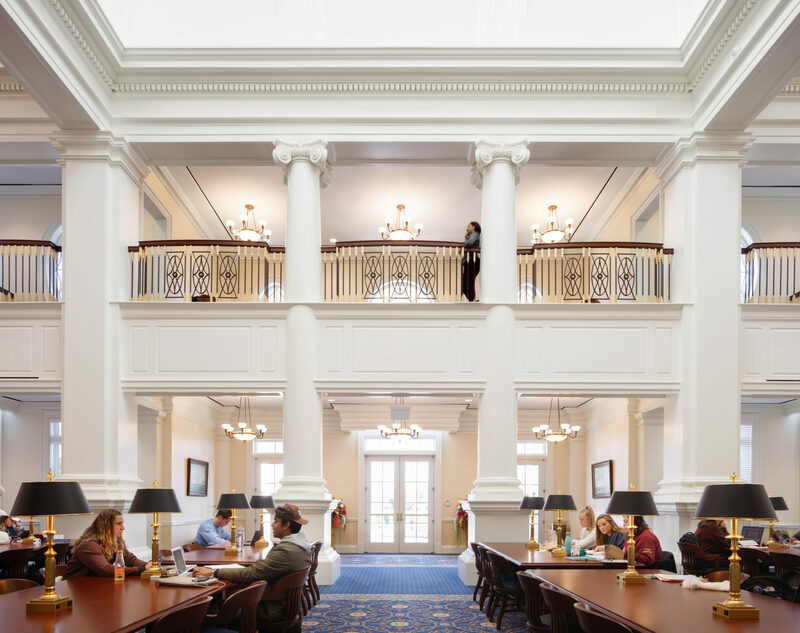 This room, named the Rosemary Trible Reading Room, and the newly renovated spaces that surround it, has become an immediate success with students who occupy the building at all hours of the day and night, fulfilling the hopes of CNU’s library staff and administration.